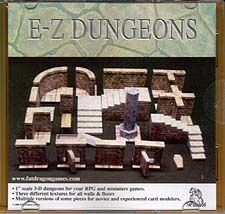 * 1" scale 3-D dungeons for your RPG and miniature games. * Three different textures for all walls & Floors. * Multiple versions of some pieces for novice and experienced card modelers.